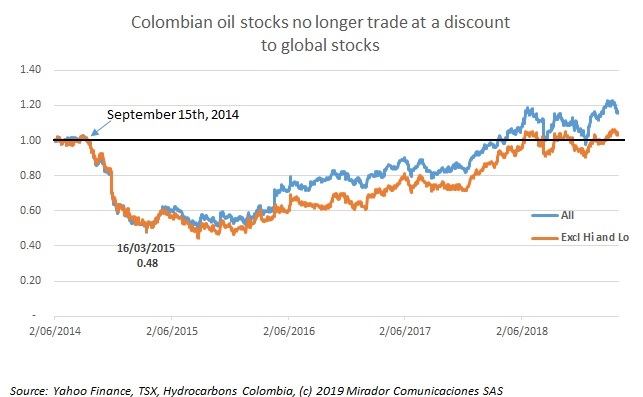 Once again, the Analyst thought of some charts he really would have wanted to publish in last week’s article about the NOC’s Line of Business (LoB) results but did not think of until a few days later. We know. We will speak to him about that. But he is right, the graphs are interesting so we will publish them this week. 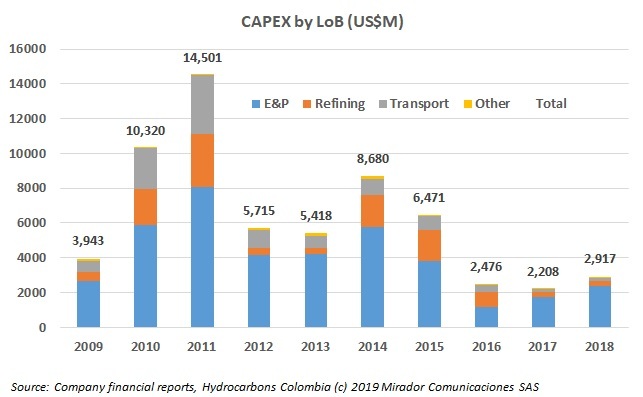 Inspired by the rapid approach of baseball season, two short rather than one long comment this week, one on 2018 results so far and one on fracking, inspired by MinMinas naming five companies as being interested. 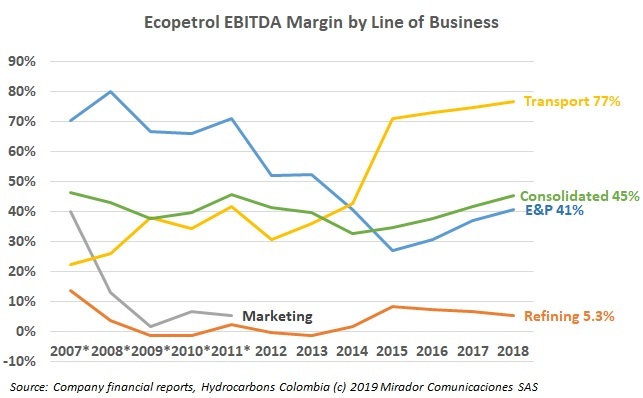 Ecopetrol published its results this past week and CEO Felipe Bayón was rightly trumpeting the NOC’s earnings for their contribution to the nation’s coffers. 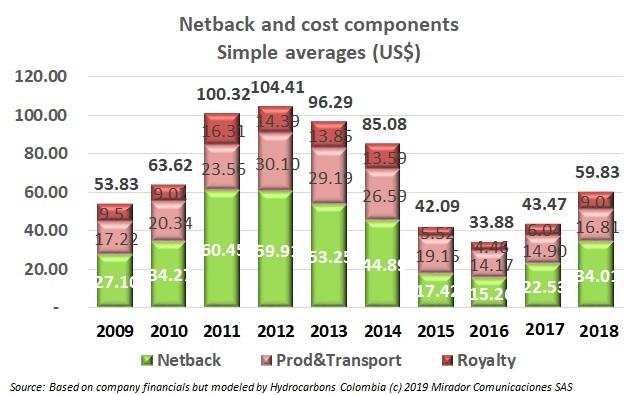 But hidden in the results presentation was worsening margins in the Refining Line-of-Business (LoB). 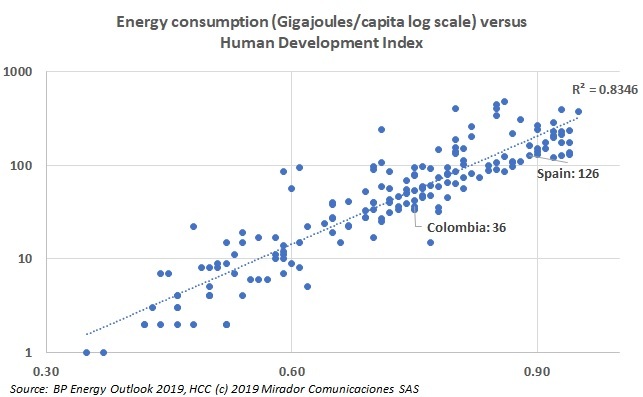 Last week, I was at my annual pilgrimage to a high-tech fair in Barcelona and it happens to occur directly after BP publishes its annual Energy Outlook. With the forecast in my head, this year I was particularly looking at the fair for trends that affect the oil and gas business. I found one that will have a definite impact and one that should, theoretically, but for which it was hard to find real-world examples.